In the prefabricated metal structure that used to house S&T’s design teams, space heaters kept things relatively warm in the winter. Big fans helped ventilate it in the summer. The place famously had no restroom facilities. 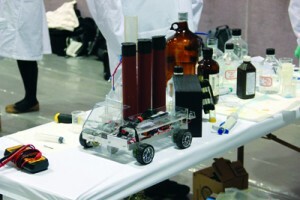 The ChemE Car placed third in a national competition for vehicles powered solely by chemical reactions. A group of chemical engineering students took third place in the nation in a competition that required them to design and construct a shoebox-sized car capable of carrying a specified load over a given distance and then stop. 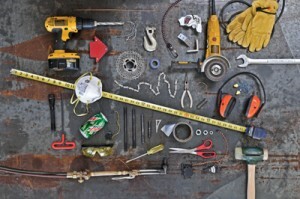 Sounds easy, but there’s a twist. On Nov. 4, faculty, staff and students of Missouri S&T joined the Miner Alumni Association in the Havener Center to celebrate Founders Day in recognition of the first day of classes held on Nov. 6, 1871. A timeline of historic S&T accomplishments as well as memorabilia were on display. 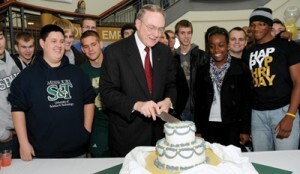 Interim Chancellor Warren K. Wray got to cut the cake. Three mining engineering students received Robert Dye (MinE 1912) Mining Engineering Scholarships. They are (left to right): senior Michael Allen, junior Joseph Cook and senior Joshua Cole. 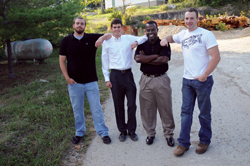 Department chair Samuel Frimpong, the Robert H. Quenon Chair of Mining Engineering, is second from the right. According to Olivia Burgess, assistant teaching professor of English and technical communication, the first rule of Fight Club is that we are driven by our own personal utopian ideas, regardless if they end up creating dystopia. 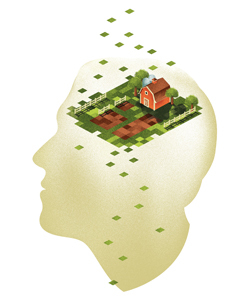 Every day millions of Facebook users log onto their computers to plow land, plant and harvest crops, and raise livestock. Most play the farming simulation game Farmville purely for entertainment, but for a group of engineering students at S&T, it was all for a grade — and the chance to learn new approaches to solving complex engineering problems. 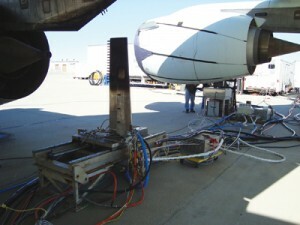 Using equipment that captures and measures exhaust, the researchers tested biofuels in the same type of engine used by a Boeing 737. Mixing alternative fuels with conventional jet fuel can cut aircraft emissions by nearly 40 percent, says Prem Lobo, MS ChE’03, MS EMgt’05. And it doesn’t affect engine performance. A record number of students celebrated their graduation at the Grad Finale on Dec 8. At the event, hosted by the Miner Alumni Association, 136 grads enjoyed food, games and door prizes. Susan Watson-Hajjar, CSci’83, donated multiple gift cards and an LG 32-inch HDTV for the grand prize. Michael Pendergrass, ME’11, was the lucky winner.